For many of us, young adulthood is a time of learning about ourselves, encountering different people, cultures, religions, and lifestyles, and forming our adult identities. In the US, the undergraduate experience on campus provides space and exposure for young adults to do this work. And yet, religious, spiritual, and ethical formation is often left to chance. Students meet others and explore in co-curricular activities, or simply by meeting professors and friends who expose them to new ideas. J. Cody Nielsen would like this exposure and exploration to be more deliberate, and embraced in systematic ways university-wide. 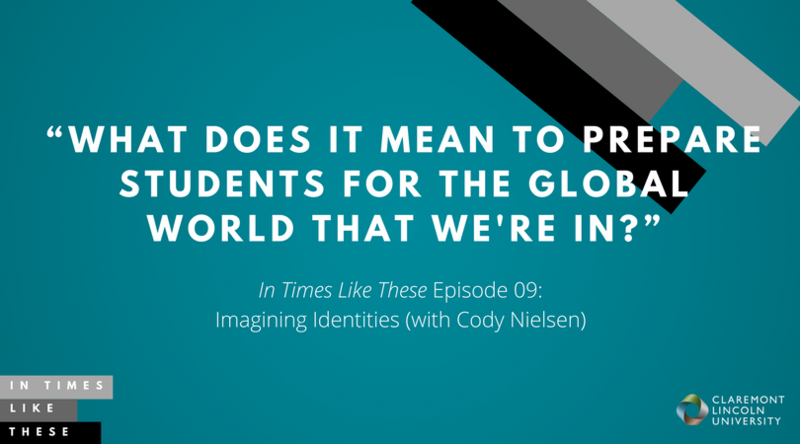 In this episode, we talk about identity formation, diversity in higher education, and ways educators and leaders can make sure engagement with diversity prepares all students for global citizenship. Stephanie: You’re listening to In Times Like These, a production of CLU Live at Claremont Lincoln University. In Times Like These explores the difficult spaces we humans navigate in culture and religion, in dialogue and doubt. For every social movement in the US, colleges and college students have been key agents of change. For many of us, our college years are times or relationship building and identity exploration. We learn about difference. We learn who we are. A new organization, Convergence on Campus, seeks to equip institutions of higher ed to make exposure to religious and ethical diversity systematic and intentional. 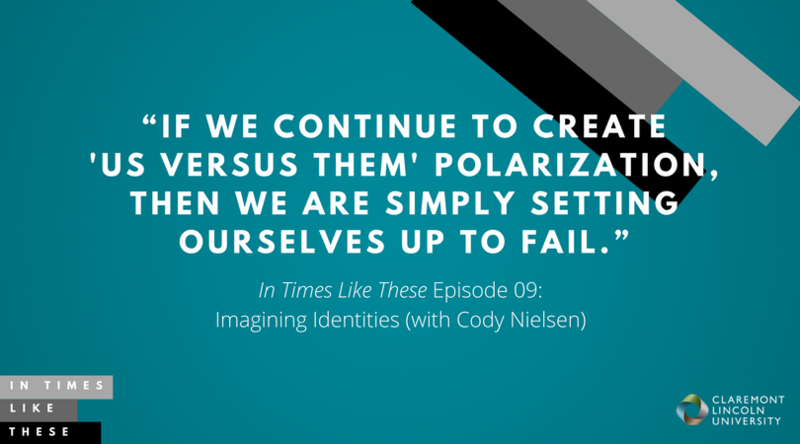 In this episode of In Times Like These, I talk to its founder, J. Cody Nielsen, about his own journey as a multifaith leader, the challenges of doing education in divisive times, and the work of Convergence on Campus. Cody, introduce yourself. I’m so excited you’re here to tell us about Convergence. I think this is the future of higher education and engagement for folks in this landscape. 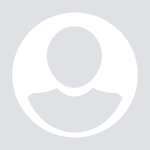 Tell us about yourself professionally and the organization. Cody: Great. Thank you for allowing me to be here. It’s a pleasure to be in Southern Cal with you and here at Claremont Lincoln. My name is Cody Nielsen. I’m the executive director and founder of this organization called Convergence on Campus. You might know us by our short name, Convergence. It’s an organization that comes out of about fives years worth of experiences that I’ve had. I’ve been working in higher ed in various settings for most of the last decade, decade and a half. About five years ago, I recognized that higher education was struggling to meet the needs of students around their experiences and expectations of what we call their religious, secular, and their spiritual identities on campus. Out of that came a research study that allowed me to look at a lot of universities, some in the US and some in Canada, that revealed an institutional gap between those students’ experiences and their expectations of the campus itself [inaudible 00:02:28] the higher education administration that was present on those campuses. Stephanie: You’re saying that students, I’m 17, 18. I’m looking at colleges. When I think about what I’m going to experience in those four years, there’s a gap between what I imagine will happen and what actually happens? Cody: Right, there’s a depreciative value that’s being measured by some current data and research out there that says that students have a level of expectation of their institutions to support those religious, and non-religious identities, and everywhere in between that they are bringing, both of themselves and of others, and are having this expectation that as they enter onto the experience of their campuses, that this would be one of their identity pieces, their diversity areas that would be covered. In response, they’re finding a significant lack of that, most of which is perhaps drawn on by diversity challenges that may exist in higher education, but the research has shown that it’s also because of the fact that institutional higher education professionals have not engaged it and have not considered it as part of the diversity work they should be doing in the same way that they have looked at other areas of diversity and inclusion over the last few decades. Stephanie: We haven’t engaged religious diversity work, religious and spirituality work for students. Cody: Correct, correct. That’s not to say that’s a blanket statement and that universally there’s nothing happening. In fact, there are lots of things happening. The challenge is that there’s not as much happening as could happen. There is lots of methods that we have found and opportunities through research for us to take significant steps forward in this work. Stephanie: Okay, okay. What does Convergence do? What’s the mission of the organization, and what do you actually provide to institutions? Cody: Right. 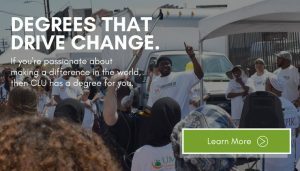 The mission statement of Convergence is to enhance college and university campus climates for religious, secular, and spiritual identifying students through policies and practice. That’s a big mission statement term, but in more layman terms what we do is we equip the professionals that are already working, those being religious professionals that you can think of, chaplains and campus ministry types, but also those people that work in higher education, students affairs practitioners, faculty, staff, those that are working on a day to day basis. We equip them with the skills and in many ways the lens necessary for them to enact change on campus. What can we offer to campuses include strategic planning with universities, institutional assessment, organizational assessment around how they’re supporting these identities. Cody: Some universities, public universities across the country, are starting to consider that much like we have Greek life offices, that it’s time to consider an office for something like religious and ethical affairs. There’s a natural inclination with things like the women’s center movement and the LGBTQIA center movement that has taken place over the last decade, that this is a natural next step. How do you create an institutional unit and some specified staff roles whose job it is to provide and support for those identities? Stephanie: Okay. Help me imagine an institution that has exemplified at every level, at the board level, at the strategic level, at the student level, at the academic level. What are we going to see on that kind of campus? Cody: You’re going to see student appreciative values of each other go up. They’re going to have better overall college satisfaction when we provide analysis later after they’ve graduated. On those campuses on a day to day basis, you’re going to see visible markers that the campus wants to care for these identities. When a student moves into a dorm, a residential hall space, you’ll notice quickly early on that there’s sensitivity around calendar-related issues. Obviously at the beginning of any academic calendar, you’re looking at Jewish high Holy Days is one thing, so there might be sensitivity around that. You might see conversations that resident hall and hall directors take proactively to help students to engage this topic and talk about what does it mean to live in the same dorm space as an atheist and an evangelical at the same time. Then outwardly as students move into the campus, you’re going to see visible things like kosher and halal options in dining centers alongside other options that are necessary, prayer spaces for all students on campus, multifaith spaces. Cody: Then beyond that, you actually should see and we’ve seen that there’s robustness when campuses engage programming opportunities that do cross-religious conversations as well as intersectional identity conversations looking at what is the understanding of women in the Islamic tradition, or queer students and their religious and non-religious identity. Those kind of visible markers become present on the campus, and they are something that every student can see, even students that are not necessarily engaged. We like to say that you don’t have to be Jewish to keep kosher or to eat kosher. You simply learn from one another. By having those kosher and halal options, you’re demonstrating not just to the Jewish students or the Muslim students who are practicing these dietary restrictions, you’re demonstrating to every single student that may come through that dining center, and every single potential student, and every single person that crosses through those doors of dining halls on campus that this is a visible part of the campus identity that we wish to preserve and support. Stephanie: Okay. I’ve been a college student. I’ve been faculty. I’ve worked on campuses. This sounds like this is what we do for students, right? We do it in res life, we do it in the cafeteria, we do it in co-curricular. Why is Convergence also interested in strategy, and in the board, and in staff that don’t touch students? Cody: Because it’s a holistic experience. When a staff person, when anyone comes onto a campus, there is a level of cultural identity that is being built. What is our culture as an institution itself? As we know from history, there are certain institutions that were leading agents around the women’s right movements and the women’s impact movements on campus. There were certain campuses like the UC Berkeleys of the world that were at the frontlines of the LGBT center movement and those individuals. Cody: When you create a culture where every single staff member comes onto campus and they have a recognizable understanding that all of the identity sets matter, and that the intersections and the interweaving of the whole identity matters, and that we’re not just taking those one identity and pushing it off campus and saying, “You can bring this part of yourself, you can bring this part of yourself, but when it comes to this other part of yourself, take that off campus,” when we say to our staff, “No matter who you work with and whoever you might come across on a day to day basis that we want to equip you to be ready for those conversations,” then you demonstrate and make sure that every student experience and every touchpoint that anyone has, that it becomes a healthy space for dialogue and discussion. Stephanie: Okay. I’m thinking about how valuable this is and how meaningful this is for people on a college campus. Then I shift my lens and I look at what’s happening in the civic space around discourse, and politics, and the way we’re treating each other. Is there something about this period of time that makes it the right time for an organization like Convergence? Cody: I think that there’s a two-prong way to approach that. Higher education has been being primed for this work for much of the last 20 years. There were always loose conversations around religious and spiritual identity and inclusion that took place on campus, but it was really back in the late ’90s, and specifically the conference called the Education is Transformation Conference, which took place at Wellesley College in September of 1998, where the conversation in higher education was really elevated. We know from that conference there were about 800 participants that came. There were a lot of people that were very surprised that the old statement has been that everybody showed up and they said, “We had no idea so many people were interested.” If you can imagine that moment where you started somewhat of a movement and a significant conversation in higher education, and then less than three years later we had 9/11. Cody: From that, there has been a near constant propelling of this. Obviously the current political climate in the last 22, 24 months has elevated the concerns around antisemitism, around Islamophobia that is present. 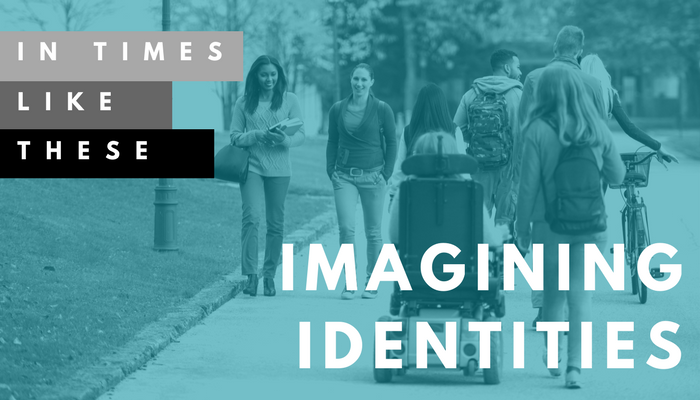 In reality, as Pew and the Public Religion Research Institute has continued to demonstrate that we are having a significant change in the American landscape around religious and non-religious identity, all the more is it becoming important for us to think about inclusionary efforts on campus. For the first time in American history since 2002 when there were somewhere around a 56% American Christian identity, now we are at somewhere around 43% that are identifying as strictly Christian, which has moved us from a majority Christian culture to somewhat of a minority Christian culture. Cody: That doesn’t come across the board and say that we’re still not dominated by Christian identity, but as there is growth in other traditions, and as we see the rise of this population of non-religious folks that Pew has classified as the nones, the N-O-N-E-S, it becomes more and more imperative for us to think critically and think strategically about how to support all identities in a way that we perhaps have avoided based on taboos and also just simply been unsure as to how to engage for much of the last three, four, five decades. Stephanie: Now I’m thinking about college students. Even if I’m agnostic humanist … I don’t mean to say it that way, like even if I’m agnostic humanist, but I don’t think of myself, 18, 19, 20 years old, as being religious, as being interested in religious things, as being interested in holidays or food. I also have identities and multiplicities of perspective. If I’m in a space where those are valued, and affirmed, and where I see multiplicities of perspective, I also flourish. That’s what you’re saying. Cody: Right. One of the things that goes with that, and part of the reason that we want to emphasize it in higher ed, is I like to say that I believe higher ed to the most transformational moment in the life of those students up and to this point, for the most part. 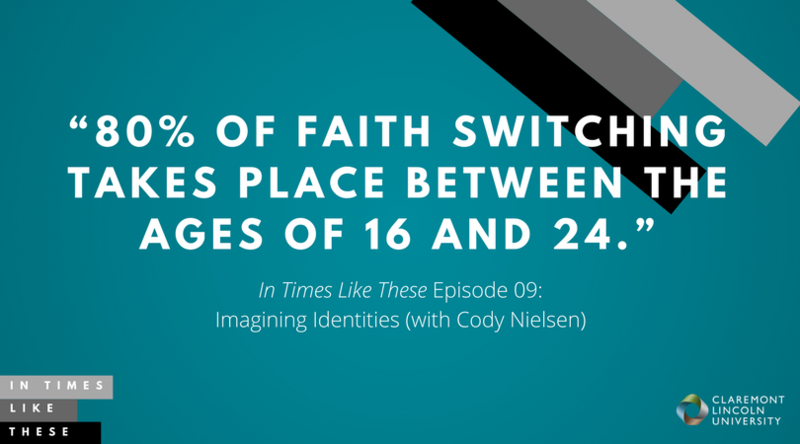 Not every student has that experience, but for most students it is a very transformational moment, one, from our understanding of identity development and just behavior development, but also we know from data that 80% of faith switching takes place between the ages of 16 and 24. Cody: What’s right in that moment is that college experience. By providing an environment, not just leaving it to our students themselves to be out in the wilderness but actually creating the foundational environment, not to endorse one particular traditional … In fact, that’s actually what we’re trying to prevent. We’re trying to create a neutral space where students can understand and value one another. In that space of the college experience for them to be curious about one another, to be critically aware of their own identity and how it intersects with their other parts of their identity, and then to leave college with at least a sense of propelled understanding about one’s identity. Not to say that when they graduate, they’re fully formed, I don’t think we’re ever fully formed, but to have some propelled identity there, and not to be stymied by coming into that moment where you are really stepping out of everything that you’ve had for those first 18 or 19 years. Now you get to make those choice decisions on your own, but to create in that space, making sure that there is a level of curiosity and critical awareness that students have. Stephanie: Okay, okay. Tell me more about your personal journey. How did you even come into this work? What is the research, what is the identity pieces that brought you to where you are right now? Cody: That’s a very interesting question. I was born and raised Catholic in Southeast Iowa, which is a pretty conservative environment. I actually was confirmed Catholic and then left that tradition when I moved into high school. It was the confirmation is graduation from the Church. 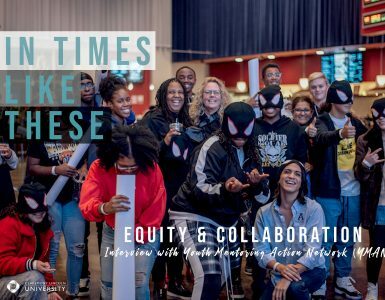 I stuck around when I was in late high school, but what I was experiencing was a real difference between my justice lens and my societal social issue lens and what I was seeing the Church. When I went off to college at the University of Northern Iowa in the fall of 2002, I was done with religion. It was very stereotypical as we see in so many students. It was the presence of a progressive Methodist or United Methodist ministry that actually drew me back in. I kept my distance, but I finally fell for it in a way and found a really strong community. Cody: By the time I had graduated, I had created for myself a theological framework from which I was operating. At the time, I was thinking about mental health counseling and school counseling, student affairs at the time. I got hired by that campus ministry at the University of Northern Iowa. 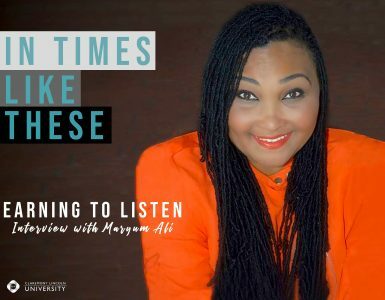 What happened is that in that experience, I started to recognize that there was an intersection between students in higher ed and at the time we just called it their religious identities or interfaith identities that I was really intrigued by. 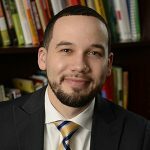 I ended up going to seminary in Washington DC and actually got a Master’s in Divinity alongside a Master’s in Mental Health Counseling, and then became an ordained Methodist clergy and for the last 10 years have used that as a way in which I’ve operated on college campuses across the US. Cody: It was when I moved to the University of Minnesota in the fall of 2011 and recognized that there were 4,500 Muslim students on campus and over 1,500 Jewish students on campus, and that there were no accommodations. There were no kosher and halal options. There were no prayer spaces on campus. It was at that point that I started to ask myself if there’s something bigger that I was both intended to be doing and that I could do to support these identities. To wrap that a little bit back to the beginning of this conversation, that’s where the range of research study came is that it was a collaboration between myself and the Office of the Vice Provost for Student Affairs at the University of Minnesota where we analyzed 25 institutions that were somewhat peer institutions to the university itself. It led toward me propelling toward about 150 universities worth of research and a sense of clarity that what I was trying to do long-term was something much bigger at the larger North American climate level. Stephanie: Okay. That’s so interesting. I love hearing people’s journeys because we experience things, and we have question, and we have crises, and we meet people, and we meet other people, and lo and behold, here we are. It is a convergence, if you’ll let me pun on your organization. Cody: That’s fair. No, I agree. Stephanie: Not everyone goes to college, right, in the US. Talk to me about if this work that we hope will happen and flourish on campuses, does that have anything to do with the rest of us that are outside of higher education and don’t need or want access to a college education? Cody: I think that’s a really powerful and really important question, and something that I struggle with personally all the time. Having worked in higher education for the last 12 years and having never left a college campus, and with way too many coffee mugs from different campuses across the US and Canada, one of the things that I look at around this work is to say if we can create a climate through which those 20 million plus students attend, and if each of those students over their times sees the value and the importance of this identity, then as they go out into the larger world and the larger culture they’ll notice the missing markers. They’ll notice when they’ve had peers that have had prayer spaces and the washing accommodations that are necessary for the Muslim tradition, for the Islamic tradition. Then they go out into corporate world and they see their friends and peers praying in the closet spaces and washing their feet in the sinks. Cody: In many ways, yes, those that don’t choose or have access to higher education, I’m not necessarily saying that I’m solving that in a direct way. We are hoping that in many ways as the same kind of historical trends that led to other movements around this work were created through these institutions of higher ed, this encapsulated snow globe, and then moved themselves out into the culture, that we will eventually capture those students that opt around higher education as their choice as they go. Stephanie: Okay. We were talking a few minutes ago before we began about this idea of global citizenship. We’re talking about institutions in the US, but clearly there are many varieties of experiences and people operating in that space. Cody: Yeah. US institutions of higher education are constantly seeking to increase their diversity on campus. There are a number of reasons for this. In a very practical way on an economic scale, international students are somewhat of cash cows for higher education. When diversity or international student enrollment goes down, as we’ve seen at the UC schools based on the current administration and some challenges that have gone on, it becomes a threat to the entire economic structure, especially on tuition-driven institutions. When we move past that stuff that doesn’t sound so exciting to talk about, the reality is that as higher education and the 4,700 institutions across the US that are trying to operate and to provide and support for these 20 millions college students, we are consistently trying to understand what does it mean to prepare students for the global world that we’re in. Cody: I once heard a TV show where there was a character on it that talked about use of Twitter. She was having this conversation with her boss and said, “Just remember that when you’re talking to one person, you’re talking to 3,000 people.” It’s this reminder that we can be in a global setting in the almost immediate. If an earthquake were to take place in this moment halfway across the world from us, and hopefully that’s not taking place, but if it were, within 10 minutes most people, most major news sources across the US would be putting that up on the lines and we would start to know about it. When we think about that, we are experiencing globalization at every level. Cody: Thomas Freedman talked about this in the World is Flat 15 years ago. How much more flat do we think that the world has become with the use of Twitter, and Instagram, and the continuation of things like having an iPhone, and the fact that I can pick up my phone right now and call my colleague who is spending a year in Israel using my WhatsApp, and I could probably get her on the phone in this conversation. That is global citizenship and global society immediately. We have to prepare that generation of students that are coming through for those experiences, for the fact that at any one moment they may experience from anywhere across the globe, how do we have the ethics? How do we have the compassion? How do we actually have a sense of curiosity about one another that is meeting all of the needs that our world has? If we continue to create isolated, us versus them, and polarization that has taken place too often in our society, then we are simply setting ourselves up to fail, both as higher education institutions and as American culture and society as it stands. 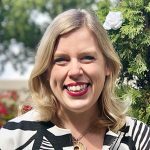 Stephanie: When you think about the work of Convergence on campus and you think about the future and all of the work that you intend to foster, what does success look like for your organization? How will you know that yes, we are doing what we set out to do? What will you see? Cody: I think on a practical short-term level, one of the things that we’ll see is that whoever is out there as the scholars in higher ed, or whoever wants to get that next big grant and look at the religious, and spiritual, and secular identities of students in higher ed, we’ll know that we are doing successful work when the gap that I talked about at the beginning, the expectations of students with their institutions, when that gap is diminished. When the students’ overall college satisfaction goes up and then they can pinpoint that their institution supported those identities, religious and non-religious, that’s one way that we’ll know. Cody: Another way that we’ll know, at least specifically I feel like I’ll know, is that I am very heavily focused on institutional climates, and policies, and practices. I want to imagine a future that the 650 so public four years across the United States will someday all have offices for religious and ethical affairs, and they’ll all have people that are working in this area. We have women center movements. We have LGBT center movements. We have Greek life offices. Maybe this is a little bit of a giveaway, but what I would like to say about this area of diversity in higher education is that I like to call it the last broad stroke. There is one area of diversity that has been not fully addressed in higher education. That doesn’t mean that we’ve got everything else solved, but there is one area that has been skirted around and avoided for far too long. Success will be when we take up that mantle and that torch and we finally as higher education professionals and the religious and non-religious professionals that work on and with these campuses, when we refuse any longer to deny, or to be defensive, or withdraw ourselves from this area of work. Stephanie: Right, right. I’m thinking as a teacher, if I’m going to teach the whole student, if it’s truly student-centered, even if I’m teaching public policy or urban education, how am I going to leave out that student spiritual or ethical identity? I can’t. I’m literally ignoring one limb of who they are. Cody: That is something that we see as being like a tool in a toolbox that is not being utilized, that there are so many angles and there’s so many things that can be discussed. If we were doing a podcast with Higher Ed Live, we’d be talking about retention rates, we’d be talking about graduation rates, we’d be talking about civic engagement and mental health. The reality is that for higher education, there are many, many outcomes that they are looking for as institutions, as trustees, as boards of regents that could be satisfied in many ways by engaging this area of one’s identity. Stephanie: Wow. I’m excited. I want to go back in time and be a student at an institution like this because I think a lot of it happens just at hoc. It happens because of who my roommate is. It happens because of who I carpool with. It happens because of what I stumble across at an open mike night. It doesn’t happen systematically. That’s what you’re encouraging. That’s what you’re providing a scaffold for institutions to do. Cody: Yes. I don’t want to leave off and say that what is happening organically is not important. Cody: In some ways, there is a capturing of the wave, maybe riding the wave, and understanding the wave that in those conversations that have taken place, there are ways for us to strategically plan for those to be broadened, for there to be deeper conversations, and ultimately for it to not just be by chance or a coin flip but rather to be, as you say, systematic. Stephanie: You know a lot about education. You know a lot about the religious and non-religious landscape in the US right now. What gives you hope? Cody: I think what gives me hope is the history. Have you ever heard of this thing, this mythical Ghanaian bird called a Sankofa? Cody: Sankofa is this mythical Ghanaian bird that says something around the idea that it is not a bad thing to go back and fetch what has been left behind. The bird walks forward while looking backward. I’ve always found this as a profoundly important piece because it reminds me over and over again that the history tells us where we’re going. What historically has been done is a guidepost for our future. The women’s center movement in the United States and the move toward incorporating more women into higher education was a federally mandated piece because there were people in power in higher education that didn’t want it to take place. The LGBTQIA movement in America was somewhat of an evolutionary trend, but it changed the culture. If we as professionals, those of us that know and understand our institutions, those of us that have been trained and equipped already, can build coalitions on our campuses to get serious about a forward thinking care and concern of this identity, then we can actually have the same kind of things happen around religious, and secular, and spiritual identity as what has happened in the past. Cody: That’s what gives me hope, because we’re not done here. There’s more work to be done, and there’s more opportunity. At this moment in time, that opportunity in what we have surveyed and what we see is truly at the institutional and professional level to say it’s now up to us to get serious about this because our students have been practicing it themselves for the last two, three decades, and now they’re demanding that they actually have their institutions stand up and support their identities that they bring. Stephanie: Thank you so much. I’m so heartened by thinking about that whole student and everything that a young person or a young adult brings to campus, and the idea that they can be touched in multiple circumstances along their way in ways that help them grow and flourish. Cody: Yeah. I’m really excited. I’ve always said that this work might not be the sexiest work that you see, but it’s the work that will eventually impact all students. Cody: Thank you for allowing me to be here. This is really exciting. 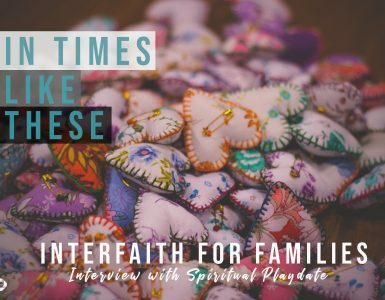 Stephanie: Thanks for listening to In Times Like These where we explore issues of politics and faith and learn from one another how to navigate difference for maximum flourishing. In Times Like These is a product of CLU Live at Claremont Lincoln University. For more, subscribe, share, and visit us at claremontlincoln.edu. Part of young adulthood includes re-imagining your religious or ethical identity. Colleges are natural places where this work can take place. Sometimes, young people encounter difference by chance. But places of higher education can be more systematic about supporting curiosity and multiple identities, including diverse religious and spiritual perspectives. Not only are colleges and universities places of rich diversity, but our constant connection via the internet and smart devices means that we are only a few seconds (or clicks) away from news, data, relationship, and awareness. What does this mean for the way we educate college students? Is it enough to teach about others, or are there better ways to foster curiosity and respect? Educators have a unique and urgent opportunity to help foster dialogue and collaboration amongst students at every developmental age. Religious and cultural differences are great opportunities to provide access to learning, building relationships, and helping young adults learn how to practice curiosity and respect. Our shared civic space depends on us learning how to do this well! You can find Convergence on Twitter @convergecampus and on Facebook here. You can find Cody on Twitter @jcodynielsen.